I felt that this is important for me to share with you, from my own private journal (a spiral 5 subject note book,) for the many people who are either not yet aware that they can receive answers from God, or people who are not exactly sure how to go about this process. Here is what happened, so you can understand the order of events. First, I sent out a newsletter card with a 4 quotes from the book “Dear God, How Can I Finally Love Myself?” because I felt that those quotes would truly help people who are having a lot of difficulty in the self love area. “She teaches “spirituality” with a strong emphasis on God and the soul. Check out what she says below. Quoted from the Book: Dear God, How Can I Finally Love Myself? Third, when I read what that subscriber said, I went into full blown, human EGO, hurt and anger. I felt like I was stabbed in the heart, I felt deeply hurt, and really angry. Fifth, I did the writing below, and I feel much better, clearer, filled with inner peace and true understanding. *******Here is the letter to God and the answers I received below that REALLY turned around all of those negative feelings, and why. I truly hope this helps you! Please help me to uproot what is still buried in my unconscious for me to feel that kind of negative & hurtful reaction to what that subscriber said about me. Also, please guide me about anything else you see I need guidance about. His comments about you were simply based on his own perceptions. They are not a reflection of your truth. The reason it got to you is because there is still a part of you that wants to be loved, accepted & even admired by others. The part of your ego that believes ANY criticism must be truth – because you have experienced MUCH criticism in your life, and you sought to gain approval from others in order to feel better. This was simply a memory on the unconscious level that got triggered and it is very good that you ask about this because there will be MUCH MORE criticism of your work, your spiritual work, your seeking to help others, and it is precisely those people who are judgmental of you who are teaching you every time to view them w/ loving compassion, instead of taking their views into your being and allowing it to hurt you. It felt like a stab in your heart, but what it DID was open up an old wound, so the toxic old beliefs could be replaced as they are now from your system, ego, and beliefs. You see, you KNOW truth, and when you see fallacy this upsets you. Instead of getting upset, please realize that what appears to be fallacy to you may very well appear to others to be the real truth and vice versa. It is okay to share this writing w/ your group – you are human and growing just like everybody else on earth, so perhaps a few others can relate to this. ALLOW them – those who criticize you THEIR truth, while you continue to live according to the truth in your heart. It is really THAT simple. His truth does not have to be in a battle with YOUR truth. Both can be valid for each of you. Many people resist even their OWN truth – so it obviously hit a nerve inside of him. This is all growth – for you, for him and for many others. Sometimes it does feel difficult or painful, but as you know, this pain is extremely temporary. You grow in compassion with every insult that is lashed on to you – and yet, it is not lashed on to YOU at all – it is simply another person expressing his beliefs. And, as you know & share, all people are entitled to their beliefs. So this is actually strengthening you. I see you realize now & feel better. You sent something out from your heart. If others do not like it, this is okay. Your motive was to help, not gain popularity. Allow others their comments and please know they are entitled to them – just as you are entitled to your beliefs. Many people resist change. You are embracing personal transformation and sharing from your experiences so others can relate. All is well. Do you see now how it opened up an old wound, so it can finally heal? Yes, this is truth. Everybody is entitled to their truth, and not everybody has to agree. It is called live & let live. Love others for their views, even if they appear to be negative & hurtful about you. Love them for teaching you more love & compassion in the face of adverse criticism. As you send the person love, you are free from the old ego negative unconscious belief that you need any sort of approval or agreement from others. You do not. You only need the agreement of the truth in your heart. Please remember that this is a period of preparing you for much. As you grow, you can smile one day when someone insults you, and as you have in the past, you can thank them for their valuable opinion. This is good growth. It is a reminder to always allow others their truth, while you live yours. 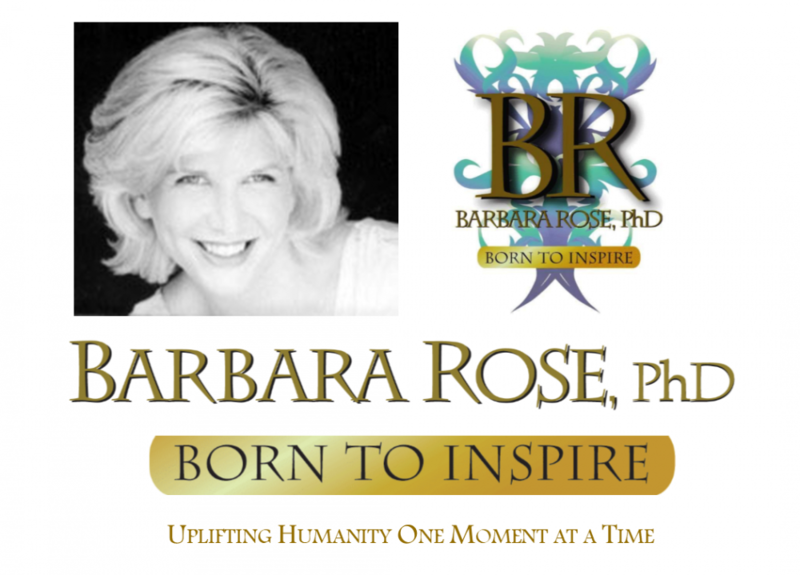 © Copyright 2006, 2013 by Barbara Rose, PhD All Rights Reserved. This entry was posted in Browse Answers from God, Browse Pesonal Growth, Letters from Barbara and tagged Barbara Rose PhD, BORNTOINSPIRE, Higher Self Communication, If God Hears Me I Want an Answer!, overcoming hurt, Personal Growth, pure spirituality in our human life, receiving answers from God, Spiritual Growth, what other people think by Barbara Rose, PhD |Born To Inspire | Bestselling Author| Life Transformation Expert. Bookmark the permalink. Thank YOU for letting me know this really helped you. This means the world to me. I hope to continue to be of the most positive service to you. Thank you Barbara! I appreciate your kind words and love! !